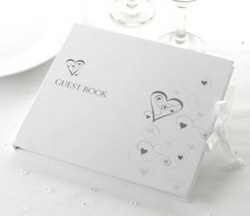 A beautifully embossed and foiled guest book in our best selling range. 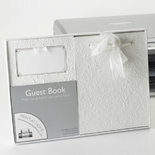 The guest book is plain inside with the inside cover just printed with the words Guests and a line for you to fill in the occasion. Contains 35 pages. W 22cm X H 19cm.